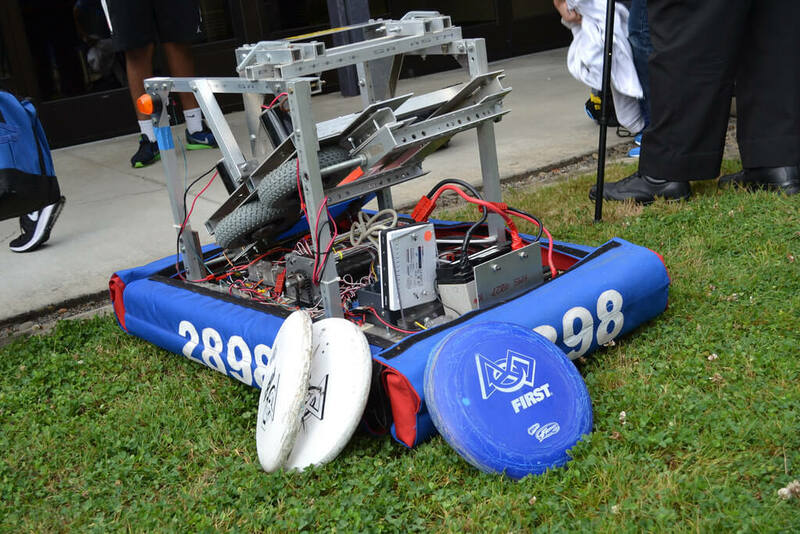 The 2013 FIRST competition named “Ultimate Ascent” displayed a field inspired by ultimate frisbee. Robots in this game try to score as many discs as they can, into various goals on the field. Each match ends with robots attempting to climb pyramid-shaped jungle gyms located near the middle of the field, one rung at a time, gaining more points the higher they climb.